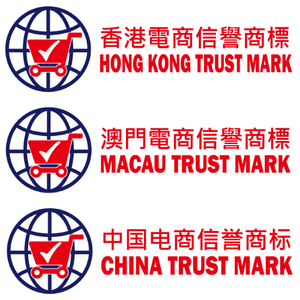 The Hong Kong Trust Mark is operated by Hong Kong Federation of E-Commerce (HKFEC). 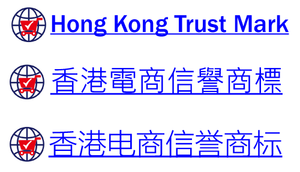 To apply for the Hong Kong Trust Mark please fill in the below application online and we will assist your company with all questions related to the certification program. 1. Apply for preliminary examination through contacting Hong Kong Federation of E-Commerce or send application directly using Preliminary Examination Application Form above. ※If the shop has been newly opened, it may take 1 to 3 months to go through this process.